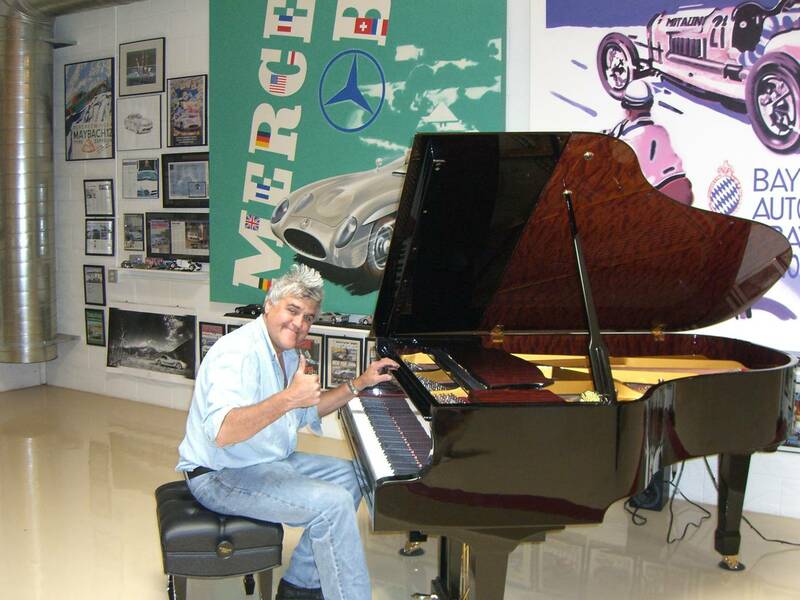 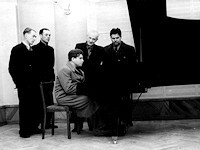 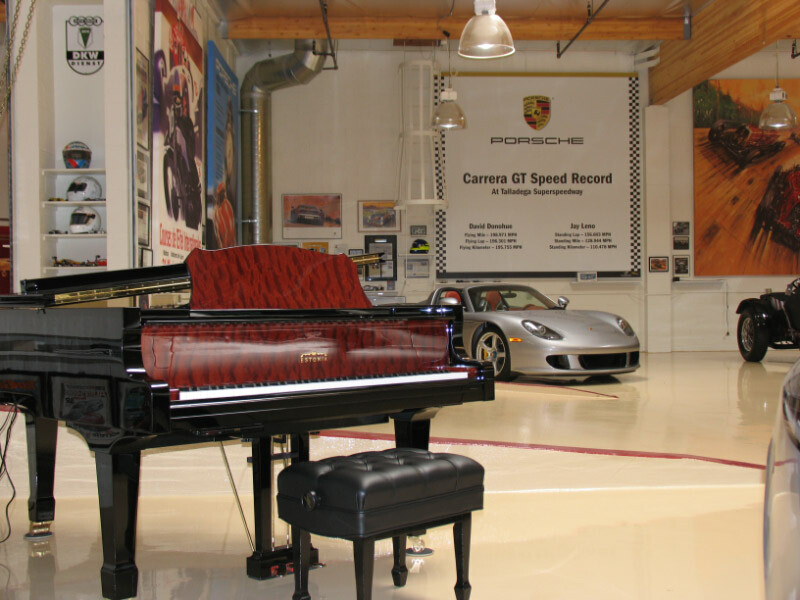 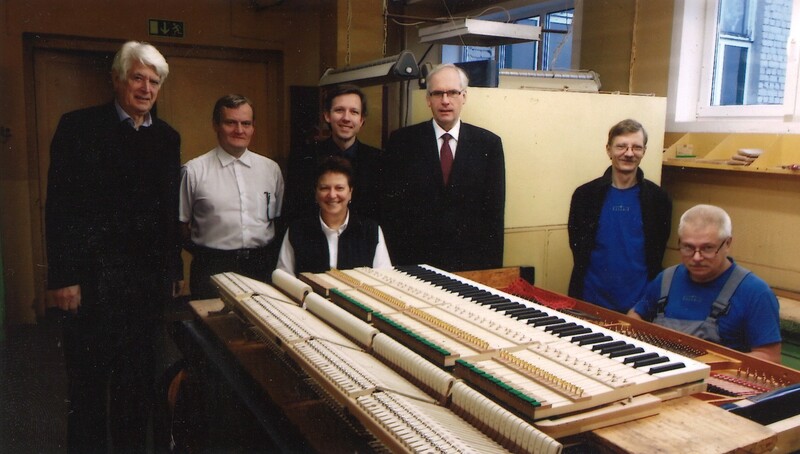 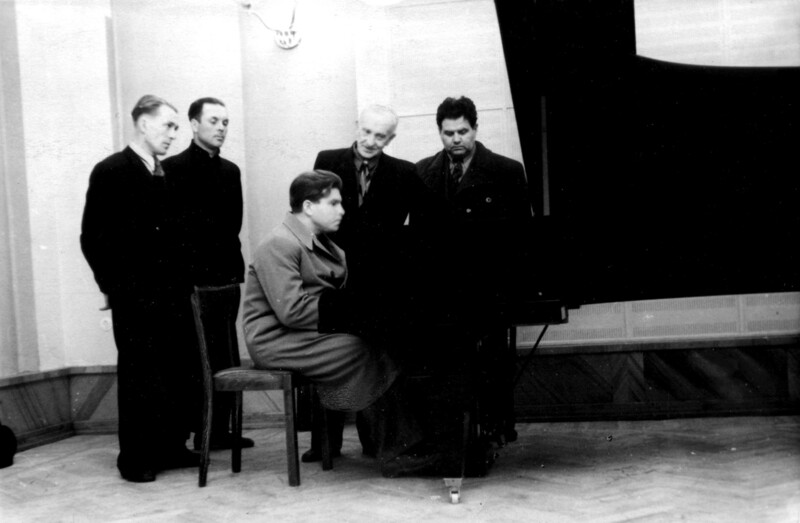 Emil Gilels tests the first Estonian made concert grand (1949). 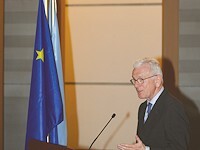 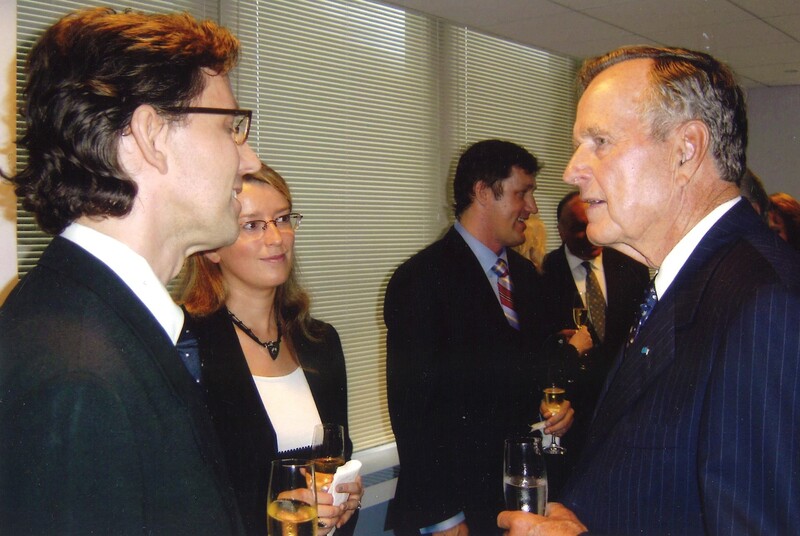 President G.W. 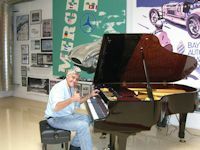 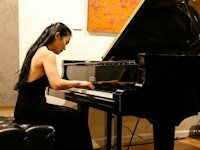 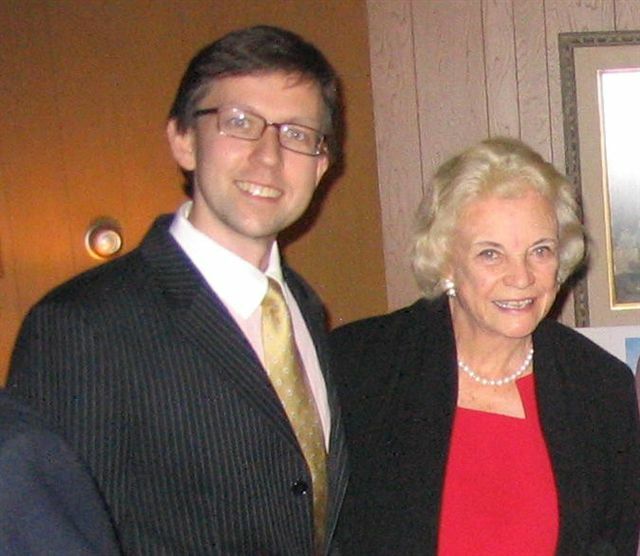 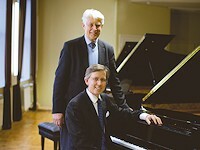 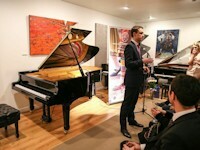 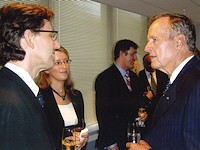 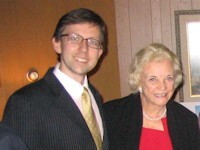 Bush Sr. (right), and Indrek Laul (left), in New York City talking about pianos and pianists. 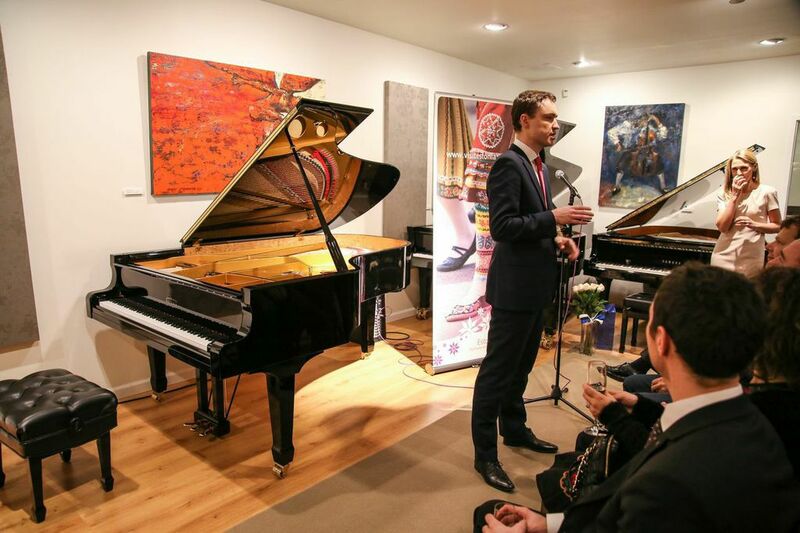 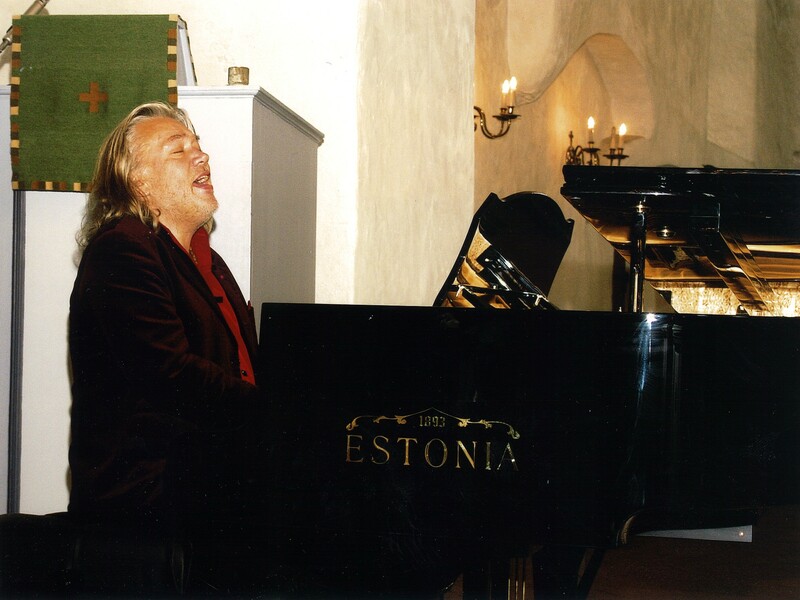 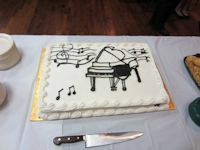 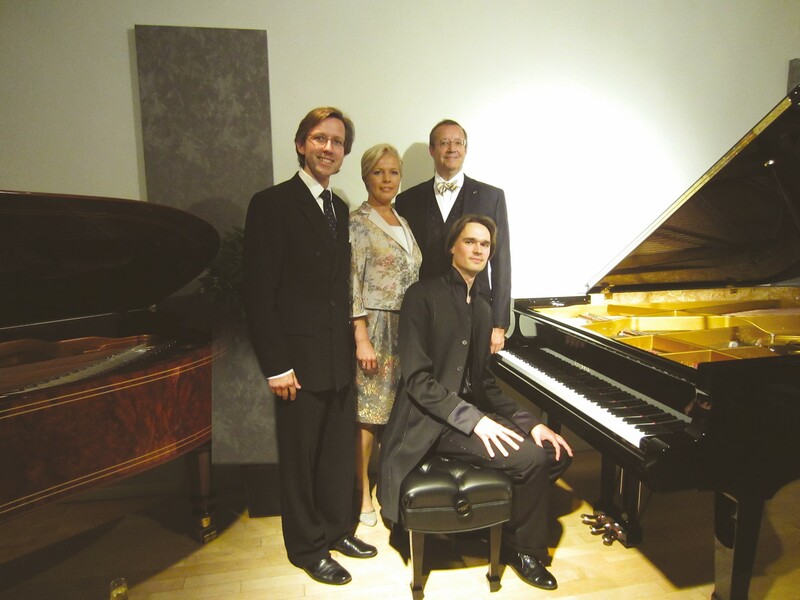 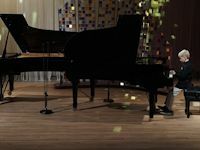 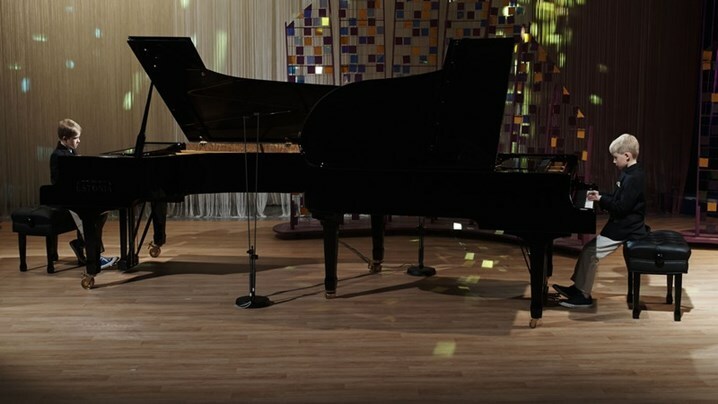 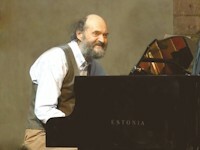 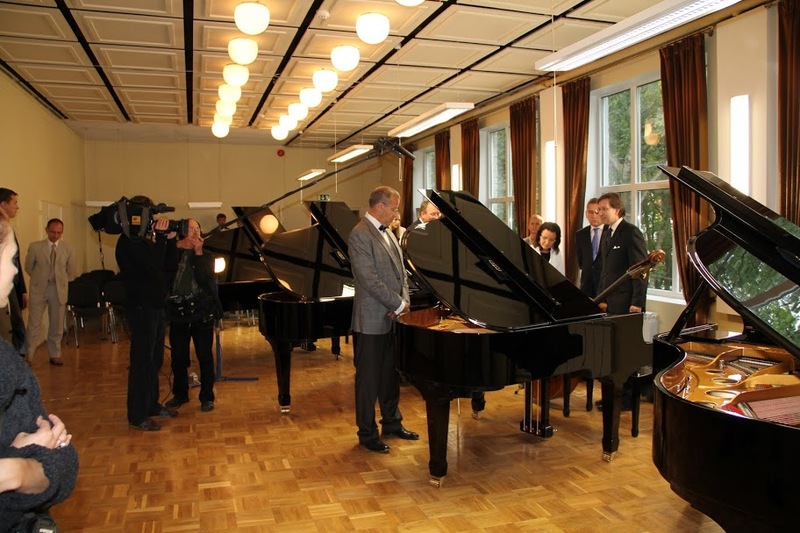 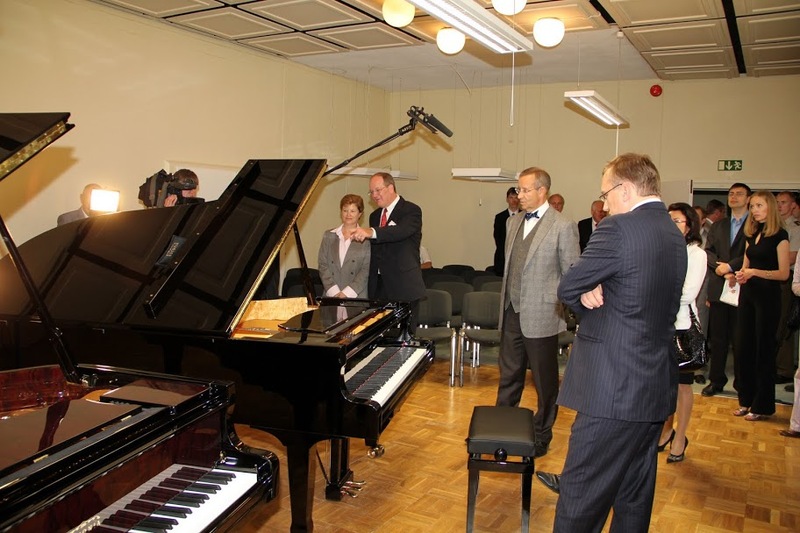 Estonian pop-star Mr. Tõnis Mägi opening the new Estonia Concert Grand piano at the St. John's Church in Viljandi, Estonia, 2009. 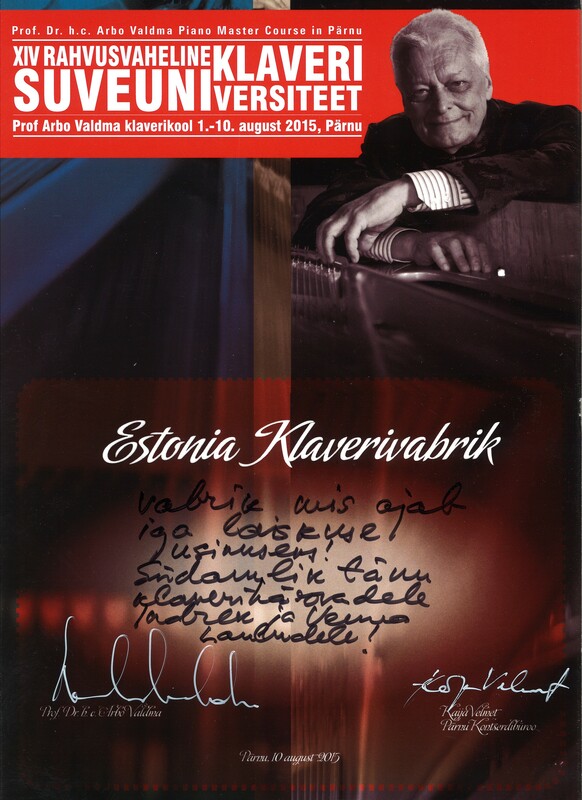 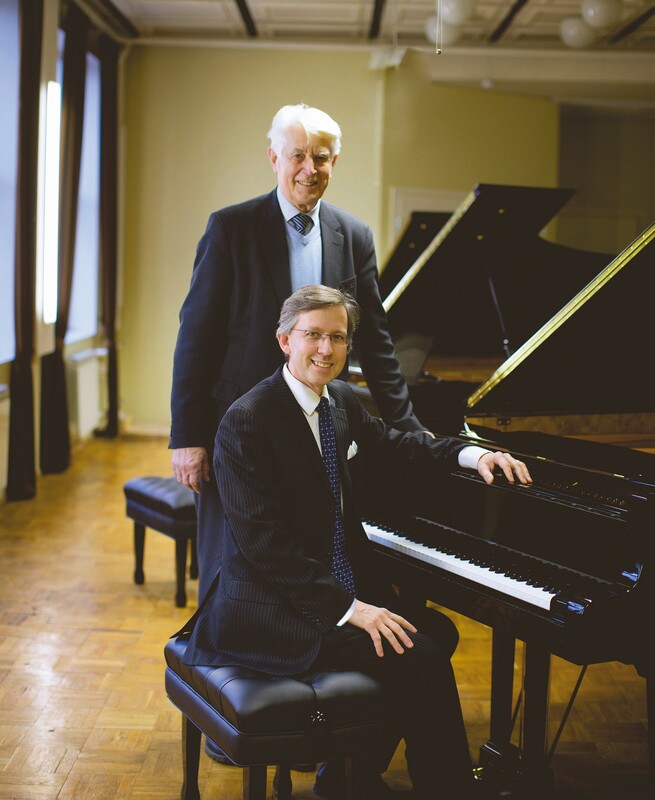 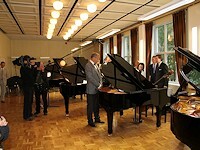 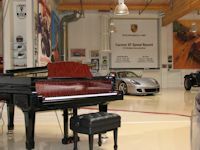 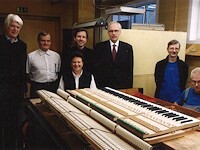 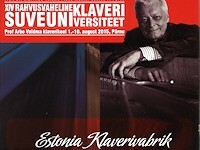 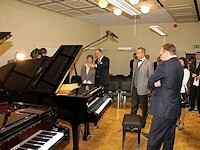 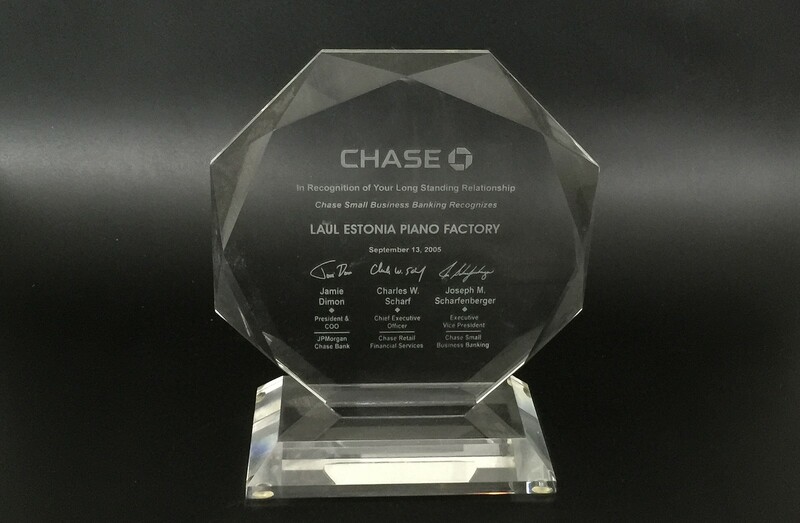 Piano professor Arbo Valdma and the summer piano academy SUVEUNI in Pärnu, Estonia, on the Estonia grand piano. 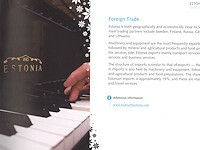 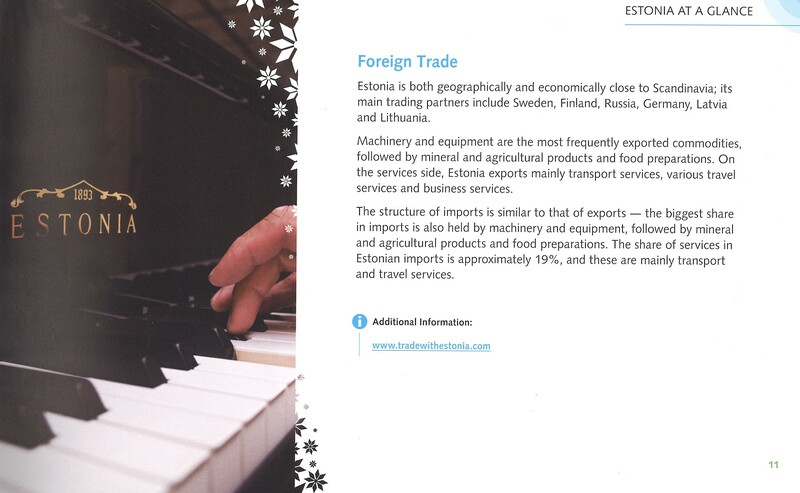 A summary of the Estonian exports by Enterprise Estonia (EAS), 2016. 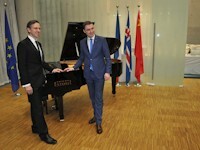 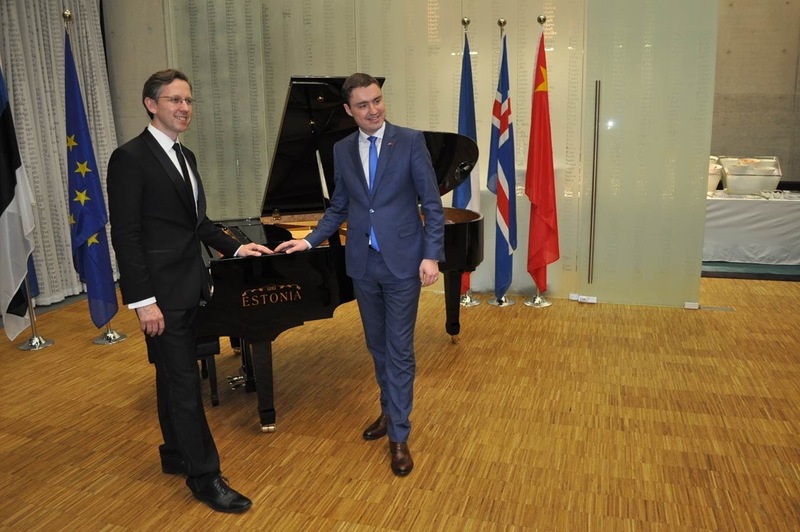 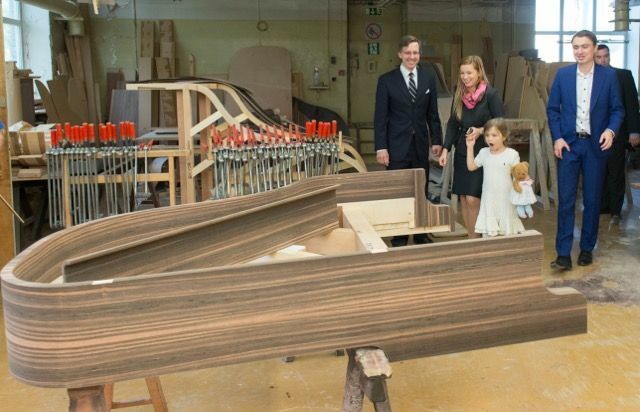 Prime Minister Taavi Rõivas (right) and his family at the Estonia Factory, Fall 2015.